Campbell Conroy & O’Neil was a proud sponsor of DRI’s 2019 Product Liability Conference in Austin last week! – Campbell Conroy & O'Neil, P.C. 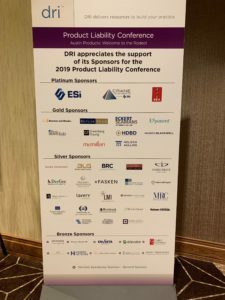 Campbell Conroy & O’Neil was a proud sponsor of DRI’s 2019 Product Liability Conference in Austin last week!